Nigeria’s Food and Agricultural Import Regulations and Standards - Law Firm in Nigeria - Lawyers in Nigeria. Agencies: National Agency for Food and Drug Administration and Control (NAFDAC), Standards Organization of Nigeria (SON), and Nigeria Agricultural Plant Quarantine Services (NAQS) and Consumer Protection Council. Under the provisions of the law and the accompanying Guidelines, no food item may be imported, manufactured, advertised, sold or distributed in Nigeria unless it has been registered by NAFDAC. Its scope is to regulate, protect and promote public health by ensuring the wholesomeness, quality, safety, and efficacy (as applicable) of food, packaged water, drugs, cosmetics, medical devices, chemicals and detergents (referred to as regulated products) consumed in Nigeria. NAFDAC operates at the Federal and State levels along with the state government agencies. At the local government level, there are primary healthcare agencies responsible for street food vending, catering establishments and traditional markets. NAFDAC regulations require food labeling to be informative and accurate and not fraudulent or misleading. A product’s brand name or common name must appear in bold letters. Name and full “location” address of the manufacturer showing country of origin must be provided on the product label. The production “batch” or “lot” number, date of manufacture and best before/expiry date. Net content, specifying essential ingredients in metric weight for solids and metric volume for liquids. Ingredients must be listed by their common names in order of their prominence by weight. Food additives and colors must be declared on the label. Spices, flavors and colors may be listed as such, without naming the specific material, but any artificial color or flavor should be identified as such. NAFDAC registration number must be included on the product label. Labeling should be in English. If it is in another language, an English translation must be shown on the label or package insert (where applicable). Stick-on labels meeting NAFDAC requirements are permitted provided they don’t remove easily. Foreign labels must be adhered prior to the product arrival at the Nigerian port of entry. For production and expiry dates, Nigerians write the date before the month. Exporters are advised to specify the month in words (July 1, 2005 or indicate mm/dd/yr) to avoid conflicts that may arise in mistaking the day for the month. NAFDAC regulation stipulates that all food products should carry best-before dates and/or shelf life on their packaging. The regulation states that the expiry date should be “at least half the shelf life as at the time of inspection.” The last sentence is interpreted to mean that at the time of inspection (by NAFDAC after clearing Customs), that the period from the inspection date until the expiration date should be equal to or greater than half of the total shelf life of the product (date of production until expiry). NAFDAC does not grant exceptions to labeling requirements. Foods for special dietary uses with claims of disease prevention, treatment, mitigation, cure or diagnosis must comply with NAFDAC’s guidelines for registration of drugs and be registered as medicinal products or “nutriceuticals”. Labels must contain directions for safe usage, cautions such as interactions when taken with other drugs. Additional nutritional labeling information is voluntary. At present, NAFDAC regulations are not specific on packaging, but the agency is in the process of developing regulations on packaging. No specific waste disposal laws or product recycling regulations impact imported food products and NAFDAC does not impose any specific restrictions on packaging materials. However, plastics must be of food grade and should not leach into the product. Relatively small sized products prepared and packaged for one-time use. Products that can be shipped in bulk and re-packaged locally. Perishable food products that undergo processing/packaging treatment to achieve an extended shelf life without refrigeration. Nigerian food additive regulations are specified in the relevant legislation. NAFDAC has developed a specific food additive regulation on non-nutritive sweeteners and on fortification. NAFDAC requires that wheat and maize flour, vegetable oil and sugar be fortified with Vitamin A, while salt must be iodized. NAFDAC applies the food additive standards of the Codex Alimentarius Commission, EU and FDA in its assessment of food safety. Non-nutritive sweeteners, including saccharin and cyclamates, may be used in low calorie, dietary foods/beverages but are not permitted in any food or beverage to be consumed by infants or children. Potassium bromate as a bread improver is not permitted. Other several bread improvers are now available. There are penalties for the violation of provisions of the NAFDAC regulations. 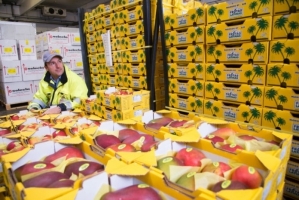 The pesticide residue limits and mycotoxin standards of the Codex Alimentarius Commission, EU and USFDA are applied by NAFDAC in its assessment of food safety. All food products must have a certificate of analysis, which demonstrates to NAFDAC’s satisfaction that the item is free of radioactive contents in addition to other quality parameters. There is a maximum residue limit for approval of pesticides. NAFDAC reserves the right to subject any domestic or imported product to its own analysis to determine wholesomeness of food product. NAFDAC officials routinely subject imported foods to inspection and analysis at the port of entry, retail level and also perform laboratory analysis. Contaminated products are subject to seizure and destruction by NAFDAC and possible prosecution. The manufacturer shall make an application for the registration of processed food. In case of a manufacturer outside Nigeria, such shall be represented in Nigeria by a duly registered Nigerian company. Importers of food products through their representatives in Nigeria must first submit an application to NAFDAC, stating the name of the manufacturer, name (brand name where applicable) of the product. 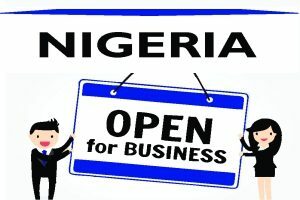 Foreign manufacturers must be represented in Nigeria by a duly registered company or individual. NAFDAC considers the local representative to be fully responsible for all matters on the product, such as registration, distribution re-calls, legal actions etc. The Nigerian importer/distributor must file evidence of a Power of Attorney from the manufacturer, which authorizes him to be the representative in Nigeria. A certificate of manufacture and free sale issued by a competent health authority, authenticated by the Nigerian Embassy in the country of origin. Product license or evidence of product registration in the country of origin is an added advantage. A NAFDAC application form duly completed by the local agent (importer) for the registration of each regulated product. Fifteen product samples (twenty in the case of dairy products) depending on pack size must be provided to NAFDAC for physical/laboratory analysis and vetting which takes about four to eight weeks. Permit must be obtained to import limited quantities for the purpose of registration. A comprehensive certificate of product analysis issued by the manufacturer. A letter of invitation for the inspection of factory to be submitted by the applicant in Nigeria and shall state the full location address of the manufacturer, name of contact person, E-mail address, current phone and fax numbers. NAFDAC registration process involves documentation, inspection of manufacturing facilities, review of the GMP inspection report, laboratory analysis for assessment of food safety and quality, vetting of labels to confirm compliance with NAFDAC’s labeling regulations. The process also involves advertisement (optional) control to ensure that it is not deceitful, fraudulent or misleading. These activities culminate in the issuance of a NAFDAC Registration Number, which is an attestation of product quality and safety. The process of registration now involves GMP audit visits by inspectors of the agency to factory locations in the respective countries of origin. The registration of any food product with NAFDAC is a detailed process and could take between 1-3 months from the date samples are submitted for laboratory tests to be completed. Manufacturers/exporters wishing to sell their food products in Nigeria also should be aware of relevant requirements and regulations of the Nigerian Customs Service. A successful application will be issued a Certificate of Registration with a validity period of five years. 1. Agents of foreign manufacturers are to take the necessary steps to ensure that regulated products intended for the Nigerian market are registered before consignments of such products are imported into the country. Authorization to import samples of the unregistered product. Bank draft for the prescribed port inspection fees payable to NAFDAC. Certificate of Analysis of the product issued by the manufacturer. Certificate of Manufacture and Free Sale issued by a Government Authority empowered by law in the country of origin to exercise regulatory control over the product authenticated by the Nigerian Embassy in the country of manufacture. Power of Attorney, notarized, issued by the manufacturer to the Nigerian local agent. 4. In the event of any violation, the consignment of the unregistered product would be cleared from the ports to a bonded warehouse at the expense of the importer. Thereafter, the importer is prosecuted and the products forfeited to the Government together with any assets or property obtained or derived directly or indirectly from the commission of the offence. NAFDAC Pre-packaged Food Labeling Regulations stipulates that all food products should carry best-before dates and/or shelf life on their packaging. The policy states that the expiry date should be “at least half the shelf life as at time of inspection.” The last sentence is interpreted to mean that at the time of inspection (by NAFDAC after clearing Customs), that the period from the inspection date until the expiration date should be equal to or greater than half of the total shelf life of the product (date of production until expiry). Exporters are advised to specify the month in words (July 1, 2005 or indicate mm/dd/yr) to avoid conflicts that may arise in mistaking the day for the month. The fee for registering a product is about 4500 United States dollars. Major supermarket operators or importers can import mixed container loads of High Value Products (HVP) under NAFDAC‟s global listing for supermarket (GLS) items. All fees for processing and registration fees are inclusive of value added tax for each transaction. Products imported under the GLS must meet the labeling and other requirements listed in sections II and VI. For products imported under GLS, a representative sample is subject to laboratory tests. No person may sell a prepackaged food unless a label has been affixed thereto. A prepackaged food label must not be presented in a manner, which is false, deceptive or likely to create an erroneous impression regarding its character, quality, quantity and origin. A complete list of ingredients used in preparing the food item will be declared on the label in a descending order of their proportion. A date of minimum durability must be identified on the label along with any special storage conditions. Prepackaged food items that are treated with ionizing radiation must be so declared and the nature of the ionizing radiation will be stated on the label. NAFDAC officials routinely visit depots, markets and retail outlets to confirm that all imported food products are in compliance with local regulations. NAFDAC may prohibit the importation, distribution, sale or use of any prepackaged food item, temporarily or permanently as well as impose administrative fines against any product failing to comply with the above regulations. NAFDAC must approve all advertisement/promotional materials prior to utilization. Advertised food products must demonstrate that the products are legally registered with NAFDAC. An application for advertisement must be submitted to NAFDAC for its approval. Nigeria is a member of the World Intellectual Property Organization (WIPO) and a signatory to the Patent Cooperation Treaty and the Universal Copyright Convention (UCC) and other major International Agreements on Intellectual Property Rights (IPR). The Patents, Trademarks, and Industrial Design Registry of the Federal Ministry of Trade and Investment is saddled with responsibility for issuing patents, trademarks, and industrial designs. Once conferred, a patent conveys the exclusive right to make, import, sell, use a product, or to apply a patented process. Registering a trademark grants the holder the exclusive right to use the registered mark for a specific product or class of products. Effective January 1, 2006, the government of Nigeria commenced the implementation of Destination Inspection (DI) to replace Pre-shipment Inspection (PSI). Under the new scheme, goods destined for Nigeria’s ports are inspected at the point of entry rather than at the point of shipment, which was hitherto the practice. The scheme will be carried out by the Nigeria Customs Service (NCS), while three firms that will act as Destination Inspection Service Providers, will provide scanning services at ports of entry. Any person intending to import physical goods into Nigeria shall in the first instance process Form “M” through any authorized dealer bank irrespective of the value and whether or not payment is involved. Supporting documents shall be clearly marked “VALID FOR Foreign Exchange (FOREX) / NOT VALID FOR FOREX” as appropriate i.e. depending on whether or not foreign exchange remittance would be involved. The validity period of Form “M” for plants and machineries shall be for a period of one year. All applications for goods subject to Destination Inspection shall carry the “BA” code; while those on exemption shall indicate “CB” in the prefix of the numbering system of the Form “M”. An exemption shall be as approved by the Honorable Minister of Finance prior to completion of Form “M”. 4. Description of the quality, grade, specification, capacity, size performance etc. Documents in respect of each import transaction shall carry the name of the product, country of origin, specifications, date of manufacture, batch or lot number, Standards to which the goods have been produced (e.g. Nigeria Industrial Standards-NIS, British Standards PD, ISO, IES, DIN, (etc). Where import items such as food, drinks, cosmetics, drugs, medical devices, chemicals etc., are regulated for health or environmental reasons, they shall carry EXPIRY dates or the shelf life and specify the active ingredients, where applicable. In January 2006, Nigeria began a partial implementation of the ECOWAS Common External Tariff (CET). The Nigerian government has reduced its tariff bands from twenty to five. The five tariff bands are a zero duty on capital goods, machinery, and medicines such as anti-retroviral drugs and other medicines not produced in the country; 5% duty on imported raw materials; 10% duty on intermediate goods; 20% duty on finished goods; and 50% duty on goods in industries that the GON wants to protect. All HVP imports are assessed a 5 percent Value Added Tax, a port surcharge equivalent to 7 percent of the duty amount and a Customs inspection service charge equal to 1 percent of the duty amount. The GON frequently reviews its list of items prohibited for imports. Exporters to Nigeria should ascertain the import status of their products before shipment. While every possible care was taken in producing this publication, information provided may not be completely accurate either because policies have changed since its preparation, or because clear information about these policies was not available. It is highly recommended that manufacturers, exporters, and importers verify the full set of import requirements with specialist trade attorneys in Nigeria, who are the best fit on such matters with Nigerian authorities.